This is a script to automatically generate a conical tapered guitar fingerboard using Google's free 3D design program Sketchup , as well as fret lines and inlay positions. If you want to save the fingerboard as a DXF or STL triangular mesh you can use the DXF & STL exporter plugin . The fret slots are not flat bottomed, but follow the radius of curvature of the fingerboard. 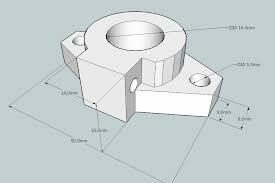 This is a plugin script for Google's free 3D design program Sketchup. The free version of Sketchup has limited file export options and many CAM programs will not recognise the native Sketchup (SKP) file format. 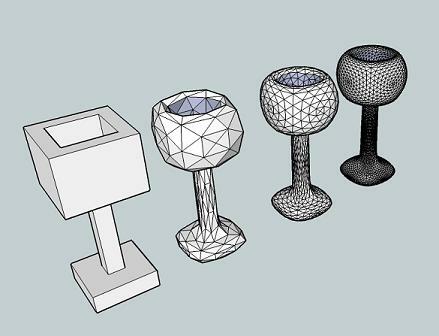 This plugin allows you to export your Sketchup model as a DXF or STL files readable by most CAM and 3D printer software. The code for this plugin is opensource - and hosted on github.